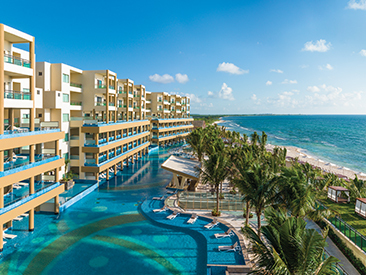 Generations Riviera Maya is Mexico's premier all-suite, all-butler, all-inclusive, all-gourmet resort, located beachfront on beautiful Riviera Maya. Couples, wedding parties and families are invited to savor a Gourmet Inclusive® experience in a vacation experience that fosters togetherness. This 150 suite hotel stretches along a secluded beach, providing indulgences from gourmet cuisine to infinity pool suites, and offering the added amenity of complete butler service. Generations Riviera Maya, by Karisma is Mexico's premier all Suite, all Butler, all Gourmet beachfront resort where couples, wedding parties and families savor a Gourmet Inclusive® experience, a vacation that fosters togetherness. This 144 suite hotel stretches along a secluded beach, providing indulgences from gourmet cuisine, to infinity pool suites with complete butler service. Families can relax knowing that their little ones are in the hands of a certified team of professionals at Eko Kids club. The property is located just steps away from the adults only El Dorado Casitas Royale, in the heart of the Riviera Maya, facing the beautiful Mexican Caribbean. 25 minutes south of Cancun International Airport, 15 minutes north of Playa del Carmen, just 10 minutes away from Mayakoba championship golf course, 25 minutes away from the Playacar Golf Club, 5 minutes south from Puerto Morelos and 35 minutes south of downtown Cancun. 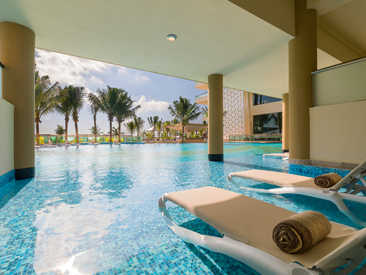 All guests ages 18 and over are also welcome to use the facilities at the adults only El Dorado Casitas Royale and El Dorado Royale, by Karisma, which are located next door. Following the inclusion of complimentary Wi-Fi to Karisma resorts the summer, free international calling from Mexico to anywhere in the world is a further attempt to make your stay as memorable and seamless as possible. 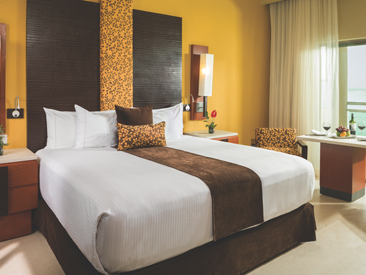 Please Note: Effective September 1, the Mexican government implemented a new environmental city fee to all guests staying at hotels in select Riviera Maya/Playa Del Carmen regions. The fee is $10 Mexican pesos (about $0.55 cents) per room per night through 2017 travel and $20 pesos beginning January 1, 2018 (about $1.10 USD per room per night). This new fee will be collected upon check-in from all guests.